Will Uncle Arthur come to stay when the first apple falls from the tree? He should but it's less than a year since he lost Aunt Lucy: he might not be ready. Faith sits waiting and watching as she polishes the first apple. Peter thinks Faith is a fool: there's no way Uncle Arthur will come so soon after the funeral. So begins a tale of three voices: Peter, the curious but also the sceptic; Faith the child of hope and believing and Uncle Arthur, the story-teller. There are poignant moments in this story set largely under the apple tree but these are outweighed by funny human quirks, laughter and the sharing of apples. This heartfelt verse novel might be pitched at the young but its messages of love, hope, recovering from grief and the power of story will speak to readers of all ages. 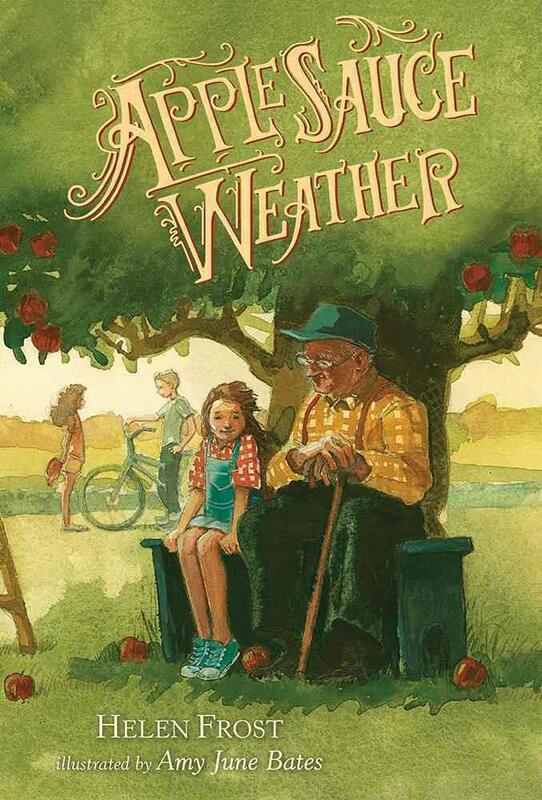 Applesauce Weather is a gorgeous tale that delves deep into the heart of first love, family and the things that last.